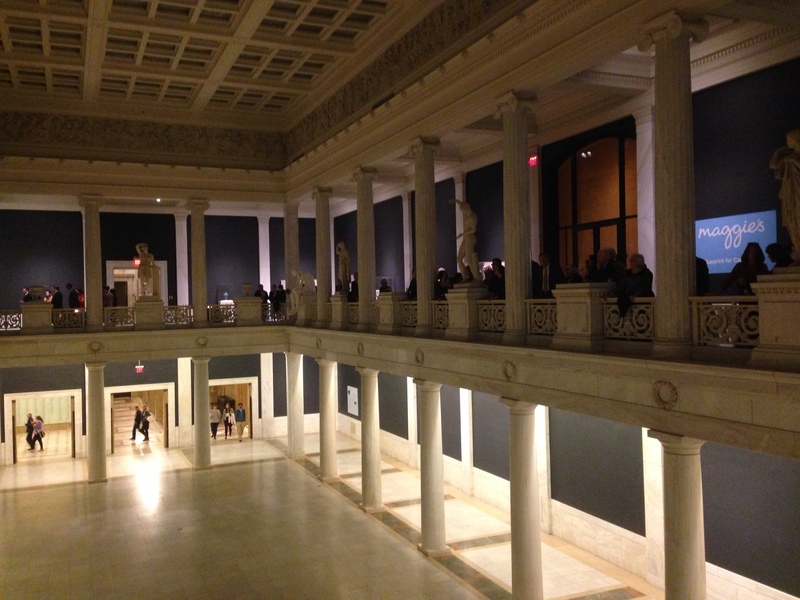 My neighbors invited me to accompany them to the Carnegie Museum of Art for the opening reception of Storyteller: The Photographs of Duane Michals. The exhibition was curated by Linda Benedict- Jones and is quite impressive, requiring a return visit to take the show in when it’s less crowded. In the Hall of Sculpture after the remarks, i was standing on the lighted glass floor and so were three others. 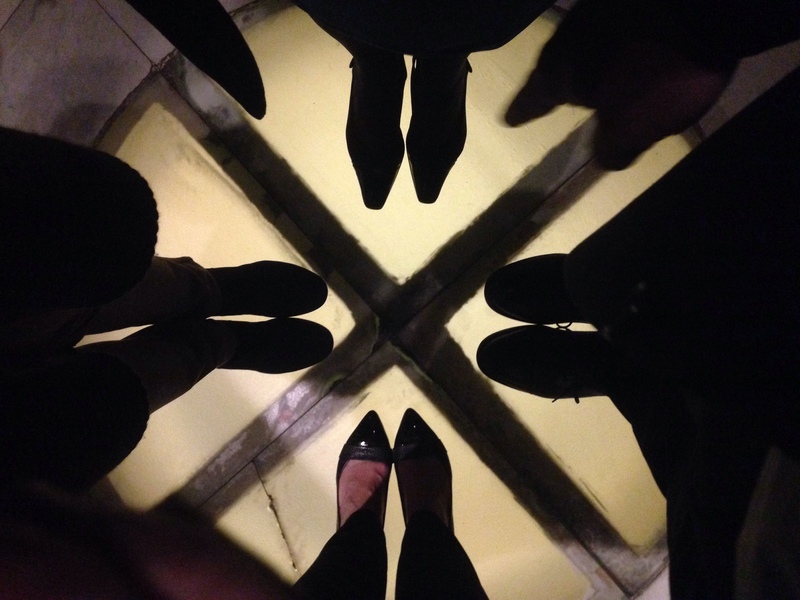 Our 4 pairs of black shoes with the light coming from the floor below. Photographer Martha Rial and I had our phones out, capturing the pattern. I call it One Shiny Shoe. Here is a man looking closely at the photos of Andy Warhol and his mother Julia. I asked a random museum goer if he’d take my photo. 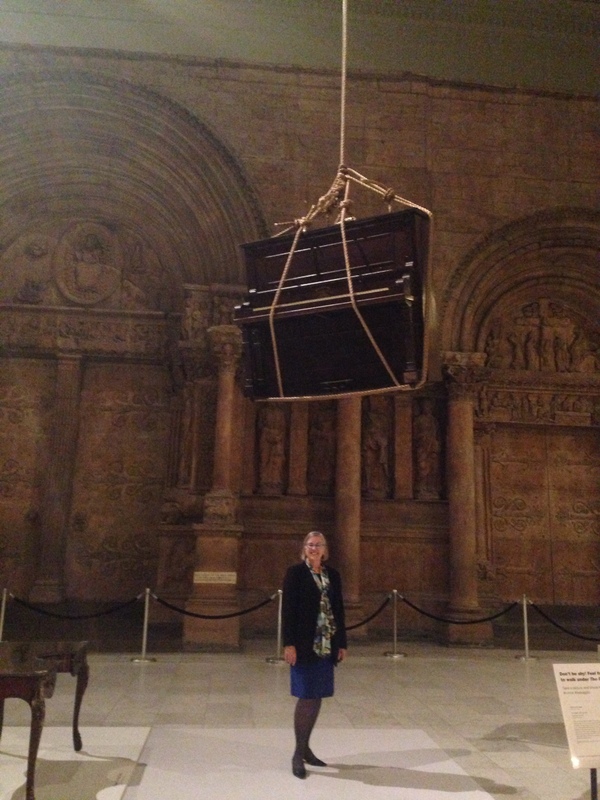 He’d already taken a selfie under the 800 pound piano. When I showed this photo to the high school students, they said I was crazy to stand under it. I said, wouldn’t it be funny to have a tall ladder and some hedge clippers? They groaned. Mark said it looked like I was in a Looney Tune. and the place was packed when I arrived. I went drinkless into the gallery where the thirteen photographs were hung. 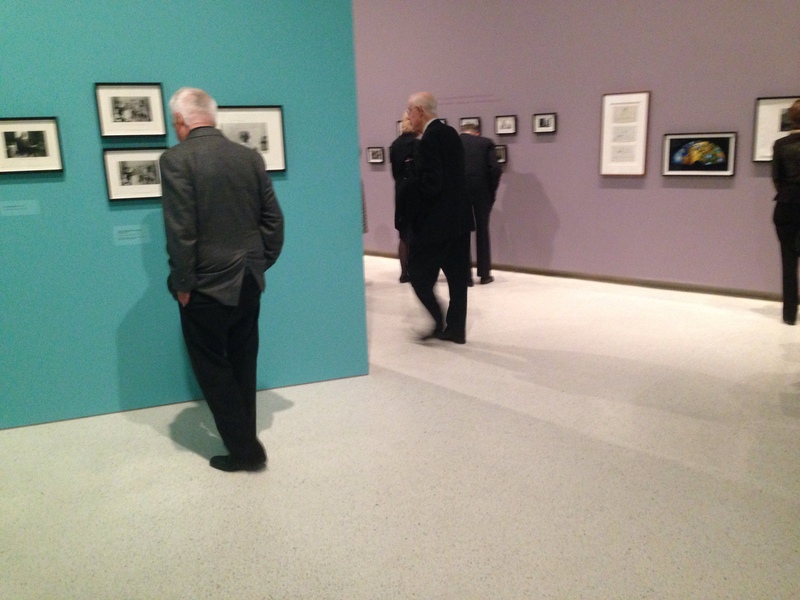 Surrounding each photograph were several selections from the submissions of photographs in response to the Museum’s 13. (Oh Snap! Project explained here if you are interested in submitting your photo inspired by one of the museum’s) Everyone please consume their snacks and beverages prior to entering the gallery with the photographs on the wall. No problem for me but others had to wait. Then I headed to the Hall of Sculpture and I chatted with one of the photographers with a Canon on a tripod, capturing the Light Writing with the LED Hula Hoops and various swords, necklaces, and eyeglasses that glowed, sparkled and flashed. It was cool being in the Hall of Sculpture with the lights out. Definitely a Night at the Museum I told her how I worked with the hs students and we’ve done light writing in the former darkroom. How the kids love doing it and the results. We talked settings and equipment a bit and I watched the hula hoopers. The admission? FREE! When I left, I captured the scene from the bottom of the Sculpture Garden stone stairs. You can see how the new project was well attended. The goal is to “spark a creative response” and I would say that goal is well on it’s way to being accomplished! If your photograph is chosen, you get a free pass for admission.